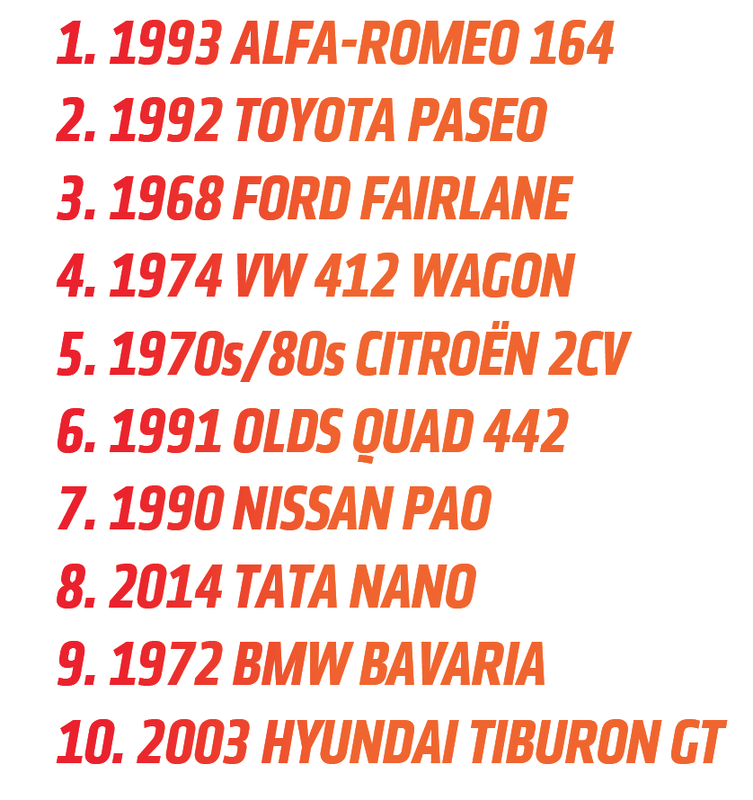 It's Time For Another Taillight Quiz! Hey pals! You know what we haven’t done in a while? Not that, I made some promises to people about that. I’m talking about having a good, honest, tricky-but-fair taillight identification quiz! This is how you spend a Sunday afternoon, people. Not glumly riding out the clock on the weekend, watching depressing Dr.Who reruns—you flex your taillight identification brain-glands and feel like a goddamn champion. Our taillight identification quizzes reduce the taillight design to basic, flat-colored shapes that reflect the color of light the lamp emits. On some you may see things like amber or clear/white areas with red stripes over them, or dark stripes—these just show how the lens is colored. You get it, right? Of course you do. We’ve got a good mix of hard and easy in this batch, I think. I’ll include the answers in a link below. Try putting your answers—no cheating, now—into the comments, so we can see how you did! People who get them all right win the incredibly satisfying feeling of knowing that you’re better at identifying car taillights than almost the entire population of humans. That’s a wonderful feeling. I hope each and every one of you gets to experience it. How do you think you did? You can see for yourself right here. 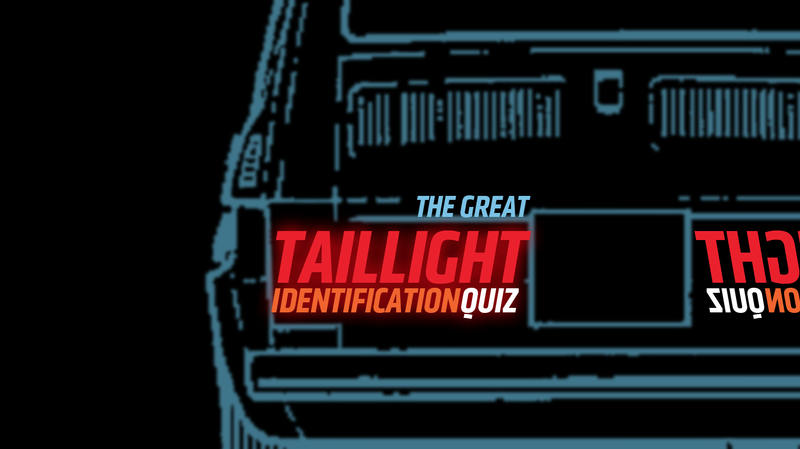 Take The Great Taillight ID Quiz!